South side of New Brunswick Ave., West of Main St Significant for its association with the early Scotch Presbyterian settlement of Mount Pleasant, this site dates from the mid-18th century when a church and burial ground were established here. The oldest gravestone dates from 1768. Margaret Burrowes, wife of Capt. John Burrowes of the Burrowes Mansion, is buried here. 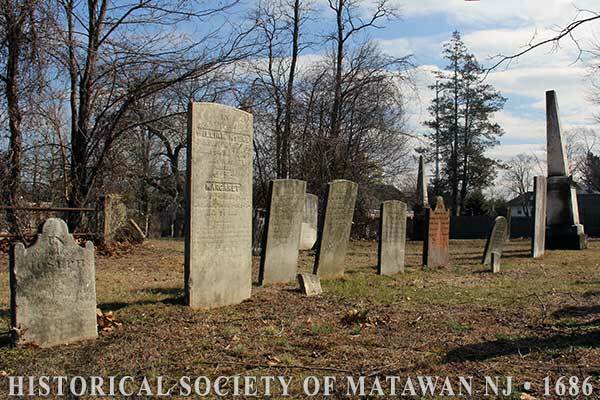 The cemetery is now maintained by the Matawan Historic Sites Commission.